Tsugumi knows firsthand how difficult it can be to find your perfect partner at Death Weapon Meister Academy. 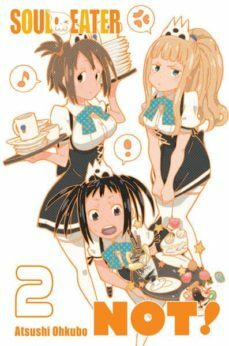 So when fellow dorm-dweller Jacqueline admits her desire to be partnered with Kim-the notorious "Witch of the Girls' Dorm"-Tsugumi is eager to help her friend. But Kim's prickly personality makes it seemingly impossible for anyone to get close to her, let alone a prospective partner. Why is Kim so intent on keeping everyone away?